You should not be studying any new material! You can certainly review ACT math formulas you intend to use and recommended ACT approaches, but do not cram new information into your brain! 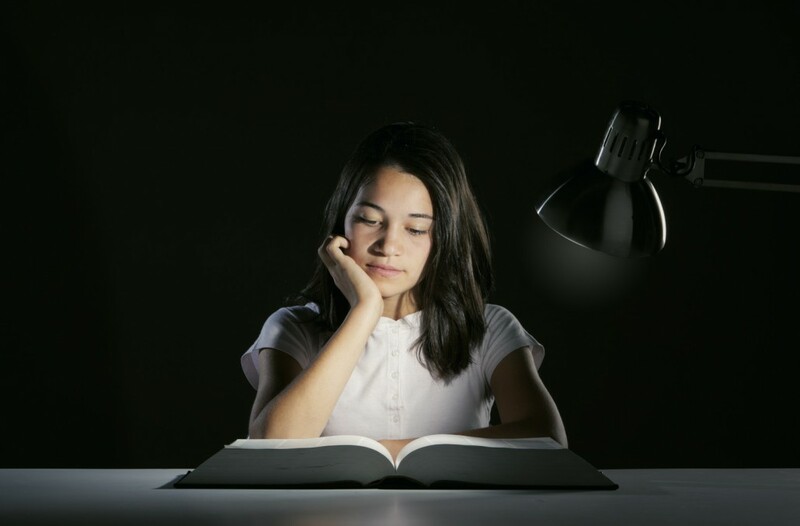 Even if you usually grab your things as you run out the door in the morning, the night before the ACT is different. Have everything ready the night before so you can spend the next morning eating a healthy breakfast and reading a book or article to wake up your brain. Follow the Official ACT checklist, which includes your admission ticket, two No. 2 pencils, an eraser, ACT-approved ID, and an ACT-approved calculator. They also recommend a watch, a bag or backpack, extra batteries for your calculator, a drink, and snacks. 3. Check Test Center Info. Make sure you know where you’re going! The morning of the ACT is not the time to figure out how long it’s going to take to travel to the testing center. Also, make sure there aren’t any closings due to severe weather at the ACT Test Center Closings webpage. Sure, one alarm is good, but why not set three? You can use your phone, an alarm clock, and a helpful person or pet. It’s hard to stay asleep if someone is dragging you out of bed by your toes. You don’t want to go to bed too early since staring at the ceiling won’t help, but you do want to get at least eight hours of sleep if possible. Also, a healthy dinner and braakfast can help you feel your best. The English section is 45 minutes long and has 75 questions. The Math section is 60 minutes long and has 60 multiple choice questions. The Reading section is 35 minutes long and has 4 passages, each with 10 multiple choice questions. The Science section is also 35 minutes long and has 40 multiple choice questions. Clearly, you need all the time you can get since you can only devote one minute or less to each question, so make sure you know exactly what to expect on the test day. This way, you won’t end up panicking because, say, you get to the test center at the wrong time, or you brought the wrong calculator or you did not have any breakfast because you thought you could bring food in. The most important thing is to report no later than 8 a.m. to your test center. Double check where your test center is the day before and that you have ample time to get there given traffic. Before leaving the house, make sure that you have your admission ticket, your driver’s license or passport and a few sharpened #2 pencils and erasers. Make sure you do not bring in only mechanical pencils or pens because they are not allowed. If you have been practicing the math section with a calculator, take the same calculator along. Make sure that it is an approved calculator. You are not allowed to bring food or drink (and this includes water) into the test center so make sure you have a decent breakfast before you leave the house. Electronics are not allowed into the test center and you are not supposed to use your cellphones and other devices during the break either. The break falls in the middle, after the first two tests. The test will usually be over around 12:15 p.m. so, as impossible as it might seem, try to live without your smartphone for a few hours. The ACT has an additional writing section that will be administered last. If you opted to take the writing section, you will be given a short break after the 4 compulsory sections. The writing test takes 30 minutes and the test should conclude by 1 p.m.
Other standard test behavior should be expected, such as not discussing the questions during the break or shading in ovals after time has been called on a certain section. Even if you have finished a section ahead of time, you are not supposed to flip back to an earlier section to work and change your answers. Neither can you look ahead to another section. Your scores will be canceled if the proctors notice you doing so. If you are prepared for the test, had a good night’s sleep, got to the test center with time to spare and remained calm and confident, you should be able to work through the test like it was just another practice test. You’ll also find it very helpful to print out some questions and work through them outside the test center or in the car while you are waiting. That way, your brain will be all warmed up and ready to go on the actual test. What’s a Good ACT Score?